Becket is a fascinating character to say the least. 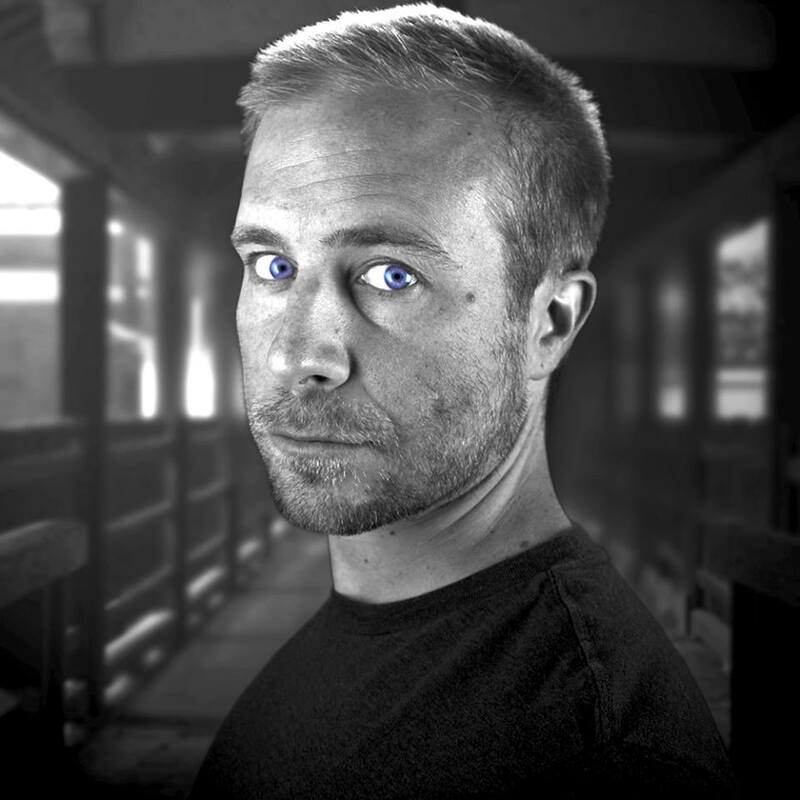 He currently assists the iconic authoress Anne Rice, is a former Benedictine monk with a master’s degree in theology, and an author in his own right. 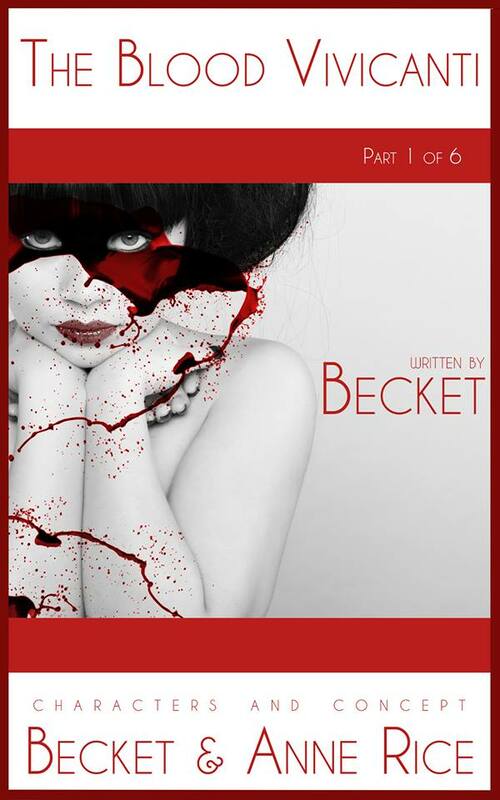 His latest offering The Blood Vivicanti features characters and concepts by both Becket and Anne, and is slated to be released as a 6 part series. It was an honor to sit down with him and learn a little more about the man behind the mystique. Where are you from? What did you love most about growing up there? I was born and raised in Jacksonville, FL. What I most loved about growing up there was living close to the beach. Did you have a love of words from an early age? My love for words began around 11 years old, when I met Sam Rivers (now the bassist for Limp Bizkit). He and I formed a band, and I started writing lyrics. In high school that grew into poetry and short stories. In college I wrote fewer poems and more stories. When I started working for Anne, novel-writing was in full swing. What was you very first favorite story? What do you consider your favorite story at this point in your life? Why? The first story I ever read was a book titled: He Remembered to Say Thank You. It was a book for children based on Luke 17:11-19, about ten lepers who were healed, yet only one remembered to be grateful. What led you to become a Benedictine monk with a master’s degree in theology? I started studying to be a diocesan priest in 1997. After 3 years, being an introvert and a scholar, I felt that the silence of the monastery was a better fit for my personality. Once I became a monk, I also wanted to become a priest. To become a priest I had to have a master’s degree in theology. What did you enjoy most about all of that? I enjoyed most the routine of disciplined prayer, the silence, the work and the camaraderie of the brotherhood. We were more than men in monastic habits. We were friends and family. What led you to give that up and become a writer? I lived in the monastery for five years. At the end of the five years, I was given a choice to make solemn vows, which are as binding as marriage vows. I felt that I wasn’t ready to make that kind of commitment. So I resigned from the monastic life. I emailed Anne about it, jokingly asking her if she had room on her staff for an ex-monk. To my great delight and surprise, she said: Yes! What was it like when you first went to work with Anne? What was running through your mind when you first landed the job? Working for Anne Rice was a dream come true. I had been a fan of hers since I was a teenager. Honestly, there was so much happening that I didn’t have time to really think about it: I was working for one of my childhood heroes, I had moved to California, and I was preparing to accompany Anne on a book tour. It was an intense time! What is she like as a person? What have you learned from working with her? Anne is one of the most kindhearted people I’ve ever met. She’s also one of the most intellectual. She doesn’t merely read a book: She thinks about what she reads, and she challenges others to think also. How did The Blood Vivicanti come into being? Can you tell our readers a little about what to expect from this series? Anne and I developed the Blood Vivicanti through several discussions over the course of several years. This new breed of blood drinker had to be a new cosmology than Anne’s other blood drinkers: It would be set in a whole new world. Our blood drinkers are not made by supernatural occurrences, but by science. This book is going to be serialized into six parts. Each part will be released once a month over the course of six months. Each part is the size of a short story, and just as satisfying, although it hopefully encourages readers to see what happens in the next issue. Did you enjoy working with Anne on the concept and characters? Anne and I have a lot in common when it comes to the things we like literarily, such as the spooky scenes of Catherine’s ghost in Wuthering Heights. We also like to talk about other worlds and aliens as much as we enjoy talking about blood drinkers. One day we just decided to combine the two. Working with Anne on this project was working with someone who helped shape my adolescence. It was amazing! Are there any particular characters in this one that hold more meaning for you than others? Mary Paige is the heroine of the Blood Vivicanti, which is told from her point of view. But the character whom I enjoy being with is Wyn, a genius scientist who has the most knowledge of the Blood Vivicanti. Fundamentally a writer has to love telling a good story. What I love about writing a good story is shaping the narrative, tying everything neatly together. Sometimes the process can be as delicate and as beautiful as carving an ice sculpture. Are there any little known things about yourself that your readers might be surprised to learn? I also compose music – instrumental music mostly, pianos and cellos and so on. I hope to have a CD released by 2014. Are you still a deeply religious person? What are your personal feelings on life and death and the beyond? Having a relationship with God is like having a relationship with another person. If you don’t talk to the other person, the relationship goes nowhere. If you don’t share intimate things from your heart with the other person, the relationship doesn’t grow. If I am devout, it is my attempts to have an intimate relationship with a power greater than myself. What would you most like to accomplish before your time here is done? I hope to live one day at a time as altruistically as I can. If accomplishments come from that, then I hope people will find my work helpful to their own well-being. What advice would you offer to those who might be struggling with this world as it is? I don’t think I’d give advice. I’d rather listen to what they’re struggling about, and share with them my own experience, strength, and hope. Soon I’ll be publishing a full book for children. The title is: Key the Steampunk Vampire Girl. It will be released in October. Anything you wish to say before you go? A wonderful interview with a very interesting man. If you are interested in another interview, I would be honored to sit down and have a chat with you for my website also. Awesome interview. I love Becket, amazing author and person. Awesome interview. Becket is an amazing author and fascinating individual. I like what you have tosay about listening to other people rather than trying to jump in and “fix” things. A little empathy goes a long way. looking forward to reading the Becket series. Love Anne, so, his work should be good. Very interesting person. Good interview. I love Becket! He always makes me want to read more!!! Any plans to release a print edition once all six in the series are done? All the Benedictine Vampires say: Hurrah!